Various California universities and Lawrence Berkeley National Lab are starting a program to monitor sea kelp for radioactive contamination. This new program may help identify changes in the Pacific ocean off the US west coast. Various agencies have done plume modeling estimates. These take weather conditions and releases and estimate where the radioactive releases went or will go. 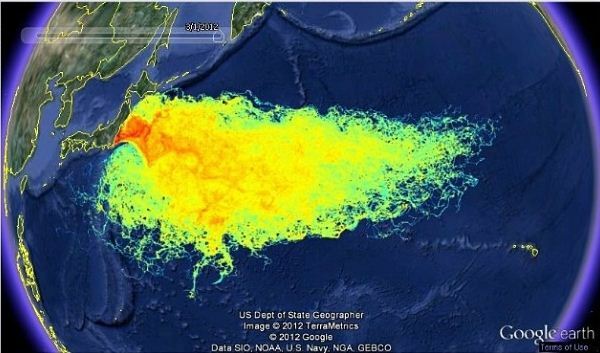 US State Dept Geographer Fukushima Sea Plume March 2012.